We now know it's not as simple as counting calories and avoiding fat. From alternative health to Western medicine, there has been a culprit we all know and love that's been protected from scrutiny -- sugar. It's also the only nutrient that still has no daily recommended intake. 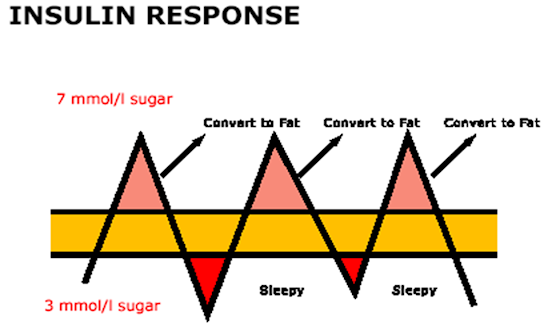 The key to understanding the idea of sugar rather than simply calories being the cause of obesity is understanding that obesity is a hormonal response, not just an energy response. Simply stated, the more you eat sugar (carbs, starches), the more your body secretes insulin. More insulin, the more your body stores fat. Even if your overall calories are low, if sugar is high, you'll still gain fat. Especially the more dangerous fat known as visceral fat. It's not just in the obvious things. It's hiding in foods that we may not even consider sweet, or in foods we consider to be savory. It doesn't need to have table sugar in it for it to breakdown into sugar in your body. Do we move less and thus gain weight? Or is it about biochemistry, we eat in ways that makes us gain weight, which changes our behavior, and we naturally want to move less? 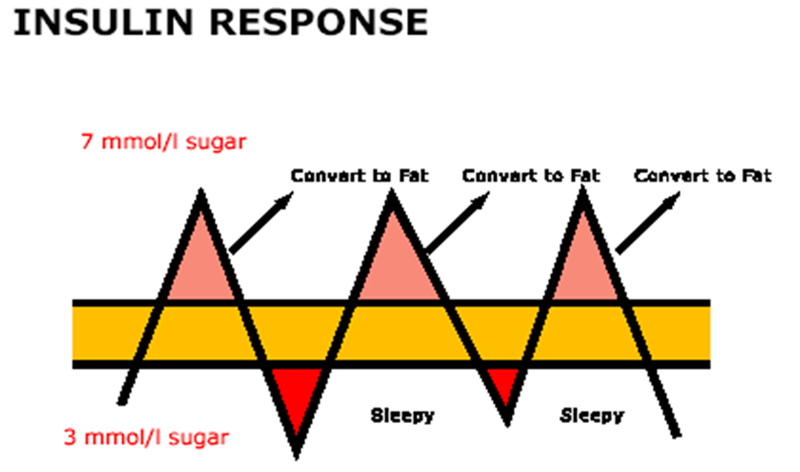 The relationship between sugar and insulin isn't just to signal fat storage, it also makes us sleepy and tired. We crash and don't want to move. Then the cure isn't simply exercise. The cure is changing how we eat. Australian science program Catalyst has produced a powerful 18 minute segment that takes us through the obesity epidemic. Featuring Dr. Maryanne Demasi, Dr. Robert Lustig, Professor Michael Cowley, and Gary Taubes. We all know personal responsibility is important. It's also time for the food and health industry to share in the blame.